REVIEW: Editor James A. Molnar gives his take on the 85th Academy Awards. "One thing the Academy can't complain about: people are talking about the show." Each year, when the curtain goes up for the Academy Awards, it is a very exciting time, especially for an Oscars fan and writer like myself. I cover every aspect of the Oscars 365 days a year. And the ceremony is the payoff. Having seen all of the films, reviewed the movies, I can watch the Oscars with an insight I'm proud to share. The days after the ceremony, I always feel the need to defend the Academy and its choices for various segments throughout Oscar Night. This year is no different. I decided to stay quiet on the Oscars and let the dust settle a little before sharing my review. The Academy Awards is the most watched show outside of the Super Bowl every year. It is also the most scrutinized. Hosting and producing the Oscars are highly critical jobs. No matter what happens, there will always be negative reviews. Just like any of the movies nominated, the ceremony itself is up for debate. There are those very passionate for MacFarlane's performance and those very much against it. One thing the Academy can't complain about: people are talking about the show. Producers Craig Zadan and Neil Meron have a musical background and they set the theme for the evening to be celebrating the music of the movies. This was a great idea. Opening and closing the show with music was in keeping with a classic Oscars telecast. MacFarlane was a good choice. He is charming and has a great charisma and smile. He also has a very nice voice. Throughout the night, he was very present. He didn't disappear after the opening. He helped announce presenters and tease what was coming up after the commercial break. I loved that. Some of the performances were outstanding. Dame Shirley Bassey showed she still has it, performing “Goldfinger.” The cast of “Les Misérables” closed out the musical tribute, performing a medley of songs and putting goosebumps on everyone watching. As expected, Adele was perfect. Production designer Derek McLane worked magic with the set and staging. 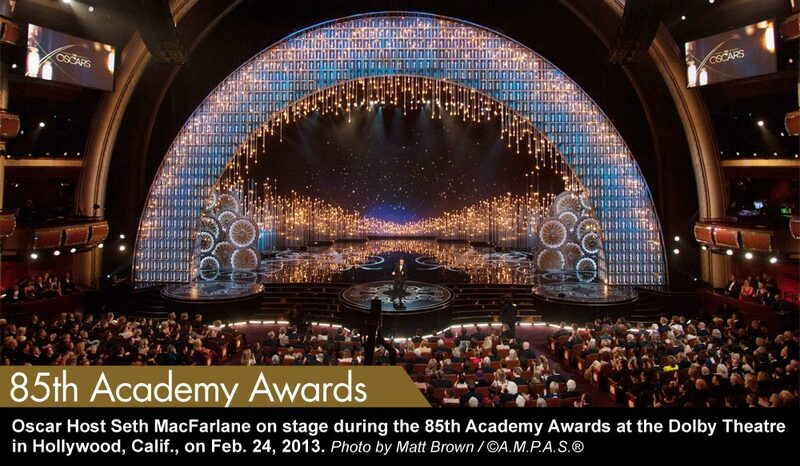 It was elegant and beautiful, especially the proscenium arch filled with lighted boxes of Oscar statuettes. To save on time, producers moved some of the nominees to a box seat near the stage for their category. This worked. The Oscars are about honoring the nominees. The lengthly 17-minute opening by MacFarlance focused on his hosting duties and potential reviews instead of fêting the movies. Past opening numbers have done more with less time. Hugh Jackman kicked off the 81st Academy Awards — still my favorite show to date — in under 11 minutes. Last year, Billy Crystal did his schtick and sang a Best Picture medley in just over 11 minutes. James Franco and Anne Hathaway closed their opening in under 12 minutes. And, for good measure, Alec Baldwin and Steve Martin finished in just under 14 minutes. All of these previous hosts interacted better with the nominees. The producers heralded and promoted a James Bond tribute, which lasted about six minutes and included an introduction by former Bond lady Halle Berry, a clip reel and the "Goldfinger" performance by Bassey. The clip reel, while very pretty to behold, was underwhelming considering the promotion. The same goes for the musical tribute. Catherine Zeta-Jones showed us nothing new with "All That Jazz" from "Chicago," neither did Jennifer Hudson with “And I am Telling You” from "Dreamgirls." The latter was a stellar performance, but the "Les Misérables" medley blew its predecessors out of the water. This musical tribute clocked in at more than 10 minutes. Better choices could have been made. Why not tribute more musicals from the past and give each about one or two minutes? The time spent during In Memoriam tribute was also misused. The tribute totaled seven minutes in length. Half of the time was spent highlighting 40 artists who passed. The other half was given to Barbra Streisand performing “The Way Were Were” as a tribute to the late composer and conductor Marvin Hamlisch, winner of three Oscars. Dedicating half of the tribute to one person seems misused. The video tribute could have continued while Streisand sang, in a similar style to last year when Esperanza Spalding sang (35 were tributed for 2011 in 4.5 minutes). In a nice gesture, Oscar.com has an In Memoriam gallery of more than 100 photos in tribute to those who died since last year's Oscars. One oddity among many during the ceremony was a lack of orchestra. For a night celebrating the music of the movies, relegating the orchestra to the Capitol Records Building down the street seemed an odd choice. This was also the case when nominated songs from "Chasing Ice" and "Life of Pi" were not performed. The music played on screen during a montage from each film. This seemed odd, but it could have been out of the control of the producers. Another oddity: playing off the long-winded with theme music from "Jaws" was slightly funny albeit inappropriate. The final oddity of the night: Michelle Obama presenting Best Picture. Yes, she is a strong supporter of the arts. But any type of remote presentation for a non-nominee or non-filmmaker just doesn't make sense. And closing the show with a musical number seemed like a perfect idea. Producers hyped the idea before Oscar Sunday. This was also underwhelming. 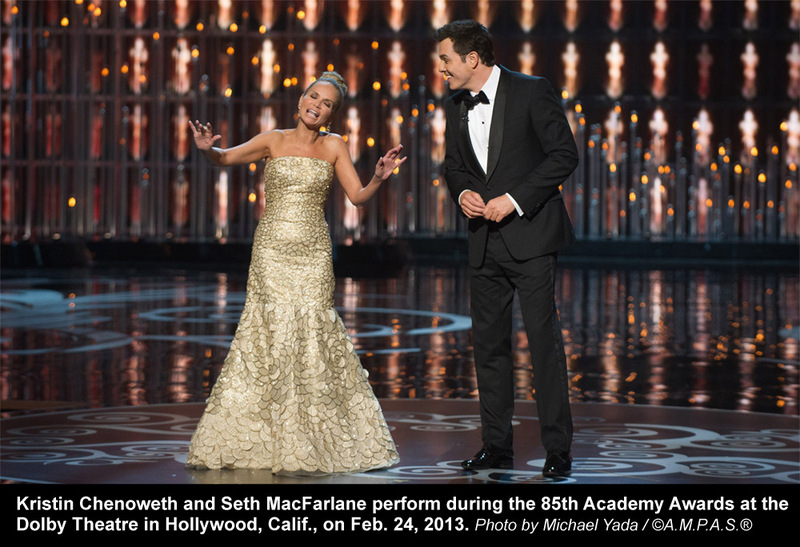 Kristin Chenoweth and MacFarlane sang "Here's to the Losers," a tribute to those that didn't win. It didn't work and was the definition of a "hot mess." The producers, while trying to promote the ceremony, over-promised. And ultimately, the show underwhelmed. The Bond and musical tributes were wonderful ideas, but implementation was just okay. This seemed to be the theme of the night: Great ideas. Mediocre execution. Host Seth MacFarlane, while affable, needed to tailor his jokes for the Oscars, not an episode of the "Family Guy." A global, family audience was watching. Last year, in my review of the 84th Academy Awards I said, "the show did what the Oscars do best: it honored the movies." 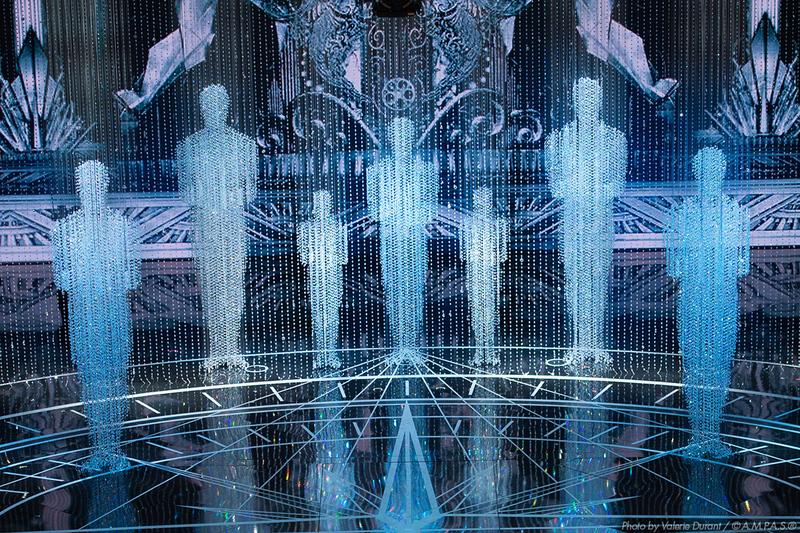 This year's ceremony could have better honored the movies. And for such an anniversary year, it was a slight disappointment sprinkled with some wonderful moments.